The Government’s fiscal consolidation policy, while having achieved the intended objective of balancing and stabilizing public finance on a firmer and sustainable path over the long term, has had the unintended consequences of contributing to low domestic demand conditions and growth pressures on industries, which are largely over dependent on public sector spending programs. 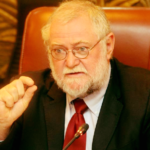 The Minister of Finance, Mr. Calle Schlettwein, during his announcement on the state of the economy and policy response said the downturn in the Namibian economy has been pressing down heavily on a large part of the country’s residents. “Namibians must stand and work together to achieve better quality growth, better quality spending, better quality outcomes. I thank all Namibians for having endured (for a good cause) the unintended but consequential downturn in our economy. Amidst a resurgent regional economy and global economic turbulences, the Namibian economy remains under prolonged recessionary pressure, with some signs of a slow recovery emerging. 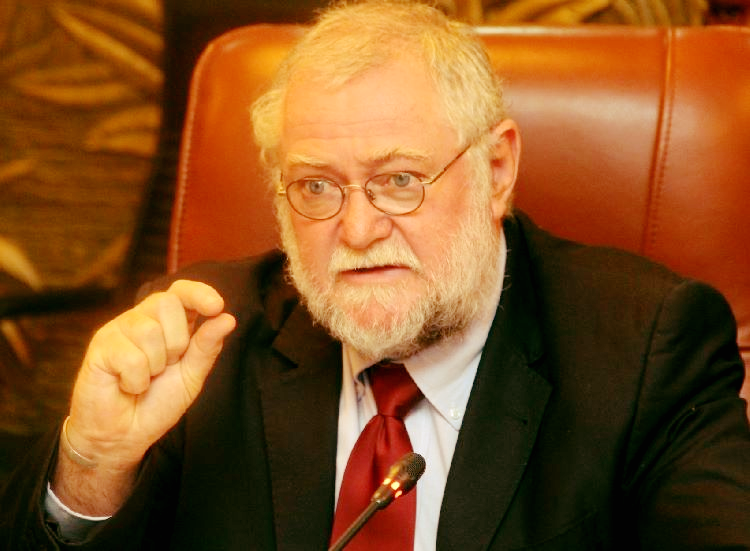 In line with the medium-term policy statement and macroeconomic projections set out in the 2018 medium-term budget policy statement, the preliminary Third Quarter National Accounts as released by the Namibia Statistics Agency indicated that the recessionary pressures of the economy remain. In the medium-term policy outlook, we anticipate overall growth to remain negative 2018, but to a lesser extent than a year ago and only to rebound to positive growth in 2019 going forward. • in the tertiary industry, growth in the transport and communication sub-sector remains robust, supported by financial intermediation and real estate activity rate. • the fiscal balances are increasingly more aligned, with the budget deficit at 4.5 percent of GDP, about half the level three years ago and having gained traction to stabilize growth in public debt. Notably, and on the negative side the epicentre of the recessionary pressures on the economy is concentrated on the wholesale and retail trade, construction, manufacturing, the hospitality industry and the public administration sectors. This is largely on account of low domestic consumption demand, contraction in the flow of investments into the real and services sectors of the economy and reduced private and government net material consumption of goods and services. The Government’s fiscal consolidation policy, while having achieved the intended objective of balancing and stabilizing public finance on a firmer and sustainable path over the long term, has had the unintended consequences of contributing to low domestic demand conditions and growth pressures on industries, which are largely dependent (over dependent) on public sector spending programs. The government is under no illusion that there is a silver bullet to overcome current economic challenges, but rather a bouquet of measures delivered through the contribution of all stakeholders. The policy packages to address the needs in the economy are articulated in the medium-term macroeconomic and fiscal policy framework tabled in the recent 2018 Mid-year Budget Review. The fact is that private sector investment has itself been in contractionary phase since 2016 after the steady inflow of foreign direct investment in the mining sector subsided. The prevailing dichotomy whereby foreign direct investment finds investible opportunities in the domestic economy on the one hand, while domestic savings perpetually flow out of the country should be addressed in the spirit of partnerships. There is no contention that fiscal consolidation has brought along unintended consequences on economic activity. At the same time one must acknowledge that consolidation has reined in consumptive and unproductive spending and placed public finances on a firmer and more sustainable path over the long-term. This policy position has not only led to the significant reduction in the budget deficit from 8.1 percent of GDP to 4.5 percent over the last three years, but also resonates well with best practice assessments by the International Monetary Fund and independent rating agencies. The long-term benefits of this corrective policy measure outweighs the short-term pains. While the cyclical upswing in the global economy and resurgent regional growth offer positive tailwinds, specific domestic sectors limit the realization of potential growth. Some specific measures in this regards were articulated in the medium-term policy statement for the next budget and MTEF. • limited domestic productive capacity with effective domestic demand oriented towards imports. • the need for structural policy reforms which require timely implementation of supportive policy intervention. • managing fiscal risk and implementing a package of structural policy reforms to improve competitiveness, administrative efficiency and the ease of doing business. The economy, which is a small and open economy is adjusting to a new balance. External factors, and to a lesser effect also domestic factors caused the economy to slide into an unsustainable fiscal balance resulting into sharp debt increases. The consolidation measures implemented by Government have placed public finance on a firmer basis as attested to by the latest external assessment by IMF and credit ratings agencies, thus laying a firm basis for long-term sustainable growth. The policy measures consistently implemented by Government since independence had the effect of improving the living standards of all Namibians, with discernible improvements in the quality of life, peace, incomes, democratic governance, rule of law and quality of institutions. Policies focusing on poverty elimination and inequality erosion form the foundations of our economic development agenda. The Trickledown Theories, postulating that poverty and inequality are solved by a “trickle-down effect from the wealthy to the poor with continued growth, have largely been discredited by modern economic theory. It just did not happen, in fact inequality increased globally. One cannot on the one hand, ardently advocate for the government to scale down its operations in the economy and, on the other hand, cry foul for the restrictive fiscal consolidation policy and hope that inequality will be solved. The public and private sectors must form meaningful partnerships with material roles dedicated to stop and overturn the current global trend of increasing inequality. In the spirit of partnerships, the Government invites the private sector and development partners to work collaboratively on this inclusive development agenda. I take this opportunity to thank all Namibians for having endured (for a good cause) the unintended but consequential downturn in our economy. We are confident and positive that we are in a better position now than in the previous year thanks to the successful consolidation programme. Looking forward, let us together achieve better quality growth, better quality spending, better quality outcomes. I wish you a Merry Christmas, and a Happy, Productive Year ahead.